Pierre Bensusan is perhaps the greatest DADGAD guitar player ever to walk the Earth. Though the French Algerian guitarist got his start as a mandolin player with banjo master Bill Keith, he quickly discovered that natural voice as an instrumentalist came through best when he played acoustic guitar in DADGAD (also known as "D Modal" tuning). After Bensusan showed Bill Keith what he could do on guitar, the legendary bluegrass musician quickly agreed to let the young Pierre bust out a six string and play a couple tunes per night to show off his skills. Over the course of his ensuing four decade-plus career, Bensusan has used DADGAD exclusively to craft some of the most evocative solo acoustic guitar music the world has ever heard. He blends influences from all over the globe with virtuosic fingerstyle technique and George Benson-inspired scatting to create some truly singular music. But, we can't tell the love story of Pierre and DADGAD without talking about a Lowden guitar that Pierre calls "The Old Lady." The guitar and the tuning are inextricably linked. You see, Pierre made the switch to full-time DADGAD in 1978. Right around that same time, he fell in love with a Lowden guitar at a guitar shop in Paris. Immediately, he ordered a customized model from George Lowden. For the last four decades, that instrument--which he dubbed "The Old Lady"--has been his main guitar for the stage and studio as he redefined what a guitarist can do with DADGAD. Reaching the fortieth anniversary is quite a feat for two humans, but spending four decades with the same guitar is nearly unheard of. 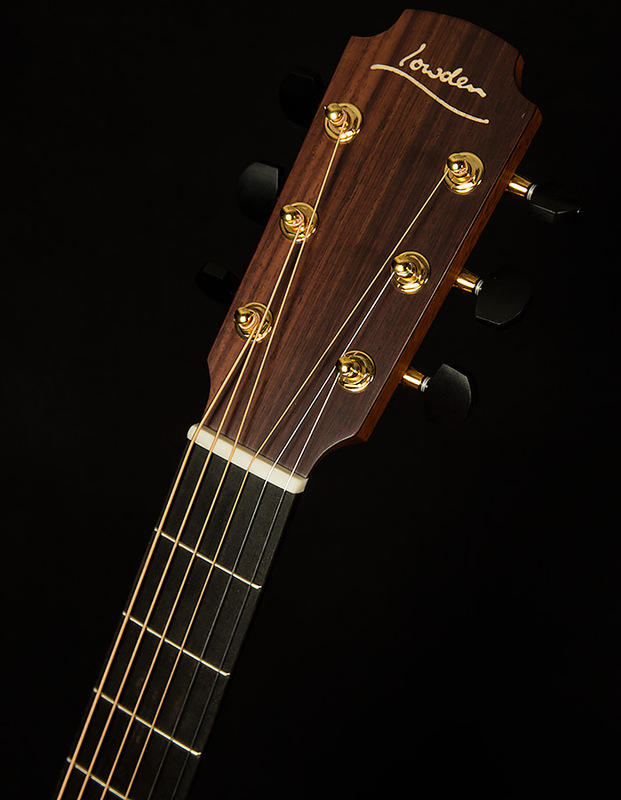 Certainly, it speaks to the deep connection that often develops between the Lowden and the player. Musings about matrimony and six-string monogamy aside, forty years is a long time! 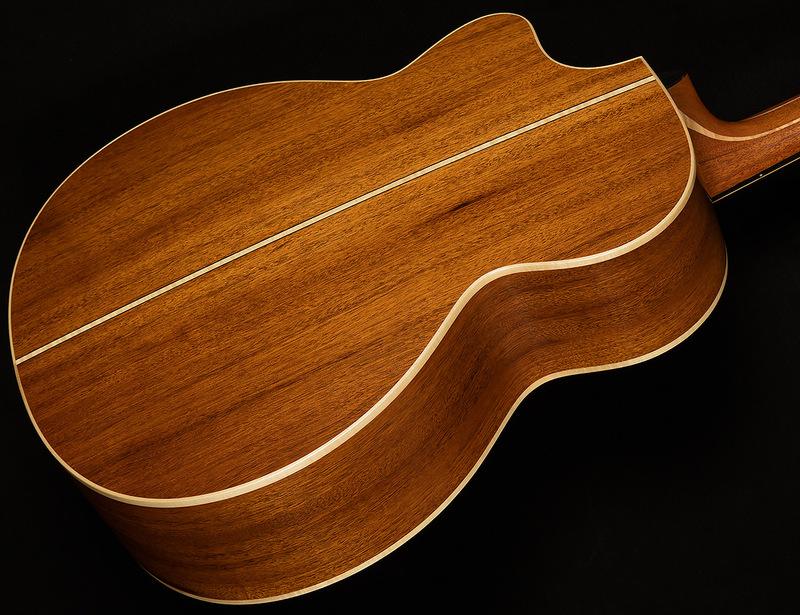 So, to commemorate their four decades of friendship, George Lowden and Pierre Bensusan decided to recreate the original Old Lady and make it a signature model. The new Old Lady is a testament to the power of one of the lesser-known tonewood combos: mahogany and cedar. Specifically, we're talking ancient Cuban mahogany and red cedar. Is ancient Cuban mahogany as cool as it sounds? You bet it is! You see, Cuban mahogany was THE wood of choice for furniture-makers for a long time because of its gorgeous reddish-brown color. Unfortunately, over-harvesting made it impossible to find by 1930. 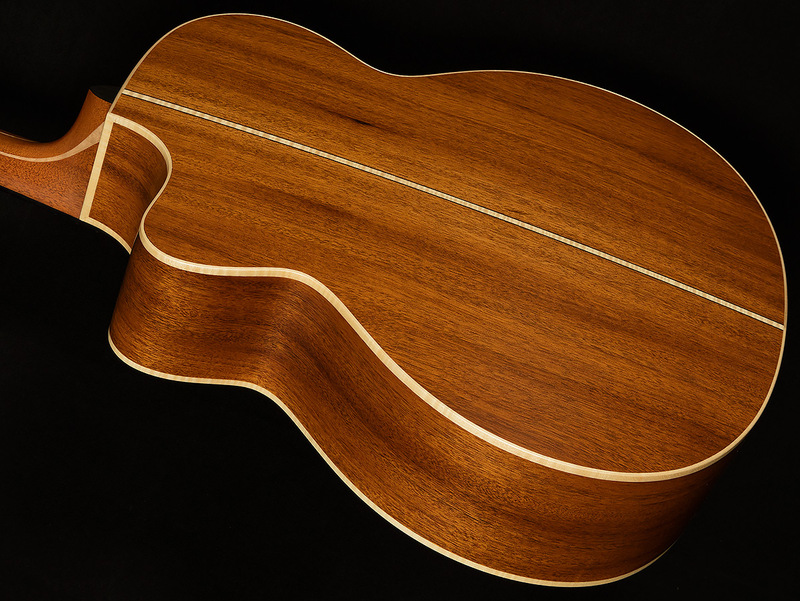 So, it is absolutely amazing that Lowden has found a stockpile to make guitars with, and not just because the wood is scarce. 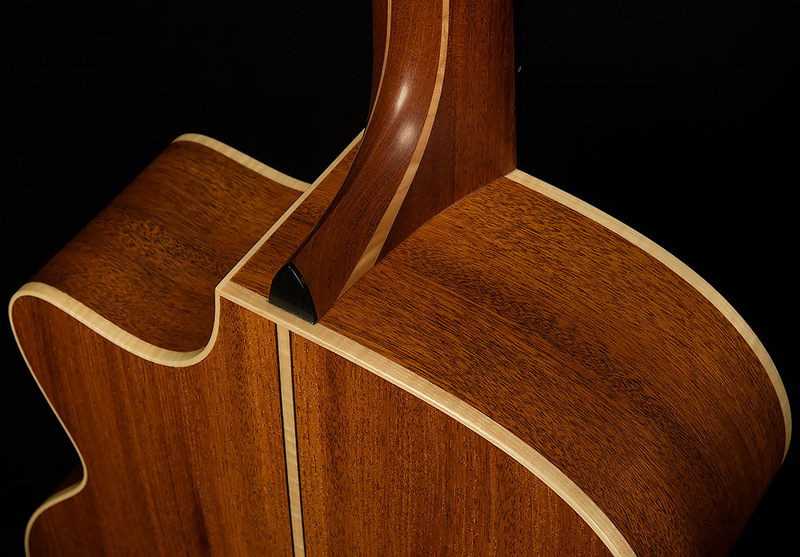 Cuban mahogany is denser and stiffer than the typical Honduran variety, which means more volume and sustain for the guitar! Cuban mahogany is a perfect complement for red cedar top because cedar is so much softer. 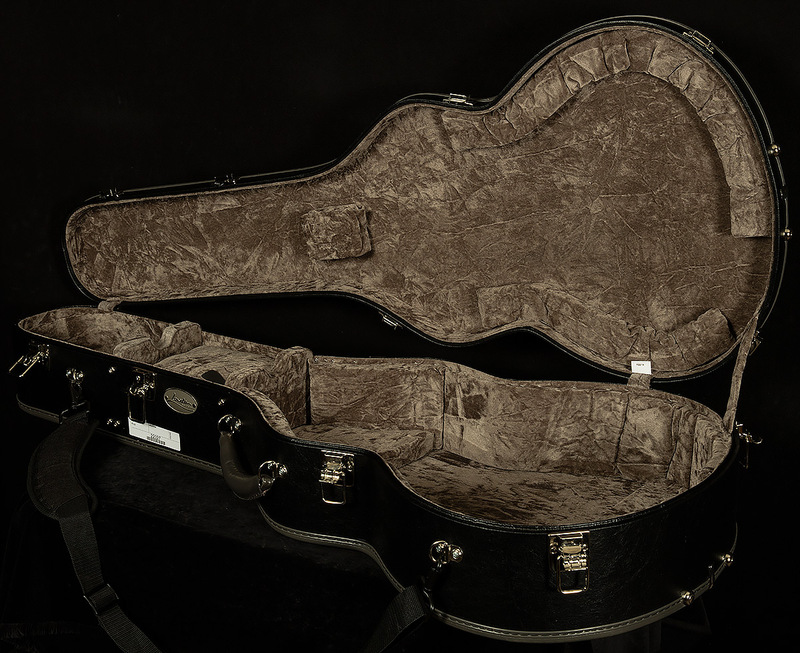 In the world of acoustic guitars, softer equals better responsiveness while stiffer equals louder. 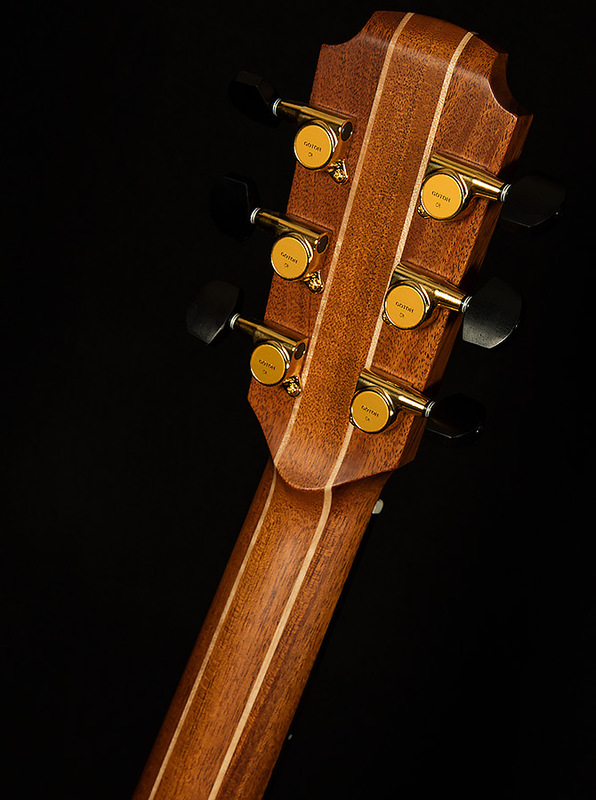 So, by pairing a soft-wood top with dense, stiff back and sides, the geniuses at Lowden have given the Old Lady a magnificently balanced voice. She responds to your right hand dynamics faithfully while still projecting like nobody's business--quite a feat for a jumbo-sized guitar. She handles a flatpick well enough to impress a bluegrass picker, yet it is also a world-beating fingerstyle guitar. And, she sounds big and full enough for solo accompaniment, but it has a midrange-forward voice that sits well in a band context, too. 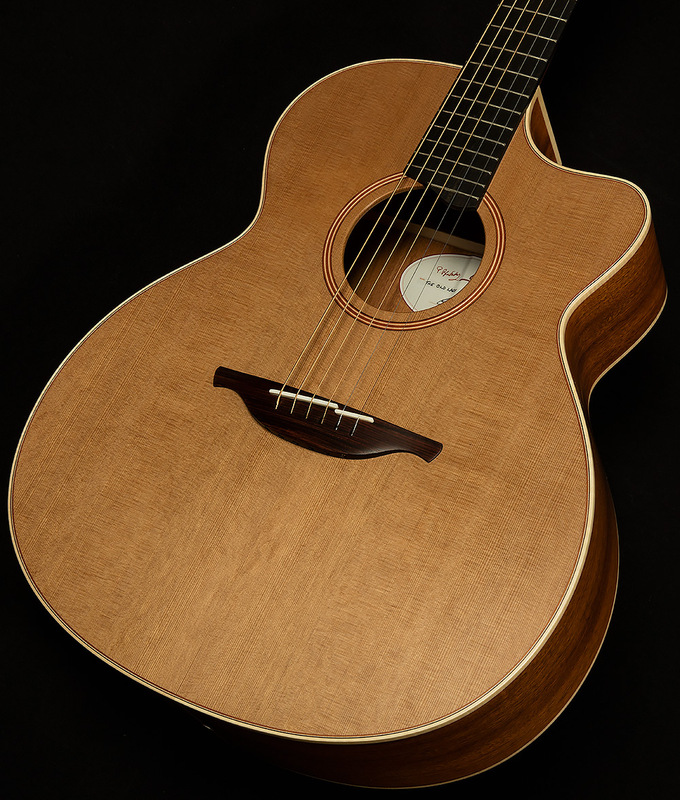 Once again, George Lowden and his team of wizards have outdone themselves by creating and acoustic guitar with no real weaknesses. It almost goes without saying, but I'll say it anyway: the Pierre Bensusan Old Lady is an absolute monster for DADGAD. It sounds full and rich, but it's still clear enough to reproduce the harmonically adventurous chords that the tuning often inspires. However, it is far from a one-trick pony. The Old Lady is an excellent guitar for just about every tuning. In standard, playing big open chords filled me with child-like glee and single-note lines sounded meaty and weighty. Fahey-esque fingerpicking filled the room with atmosphere, and mellow jazzy chording felt as natural as breathing. Though you can certainly tear it up in DADGAD, you'll still love the Pierre Bensusan Old Lady if you prefer standard tuning. 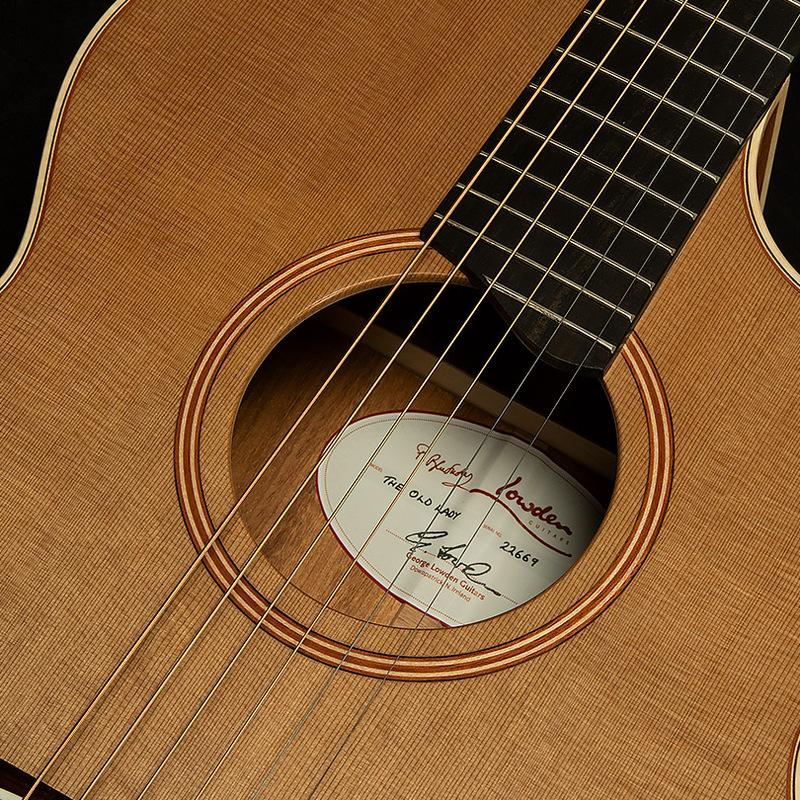 Pierre Bensusan is truly one of the most singular guitar players every to lay finger to string, and we are honored to carry his spectacular Lowden signature model, the Old Lady. We have no doubt that its spectacular feel, exceptional tonewoods, and supreme sonic capabilities will make you fall in love after one strum.